The Jaguar XF is a great model for Bergen drivers, and a Certified Pre-Owned Jaguar XF is even better. This attractive sedan, no matter which model year you choose, provides a variety of features and benefits that make driving through Saddle River more enjoyable. Explore the benefits of bringing a Certified Pre-Owned Jaguar XF home today. 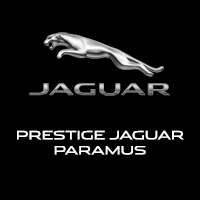 Every Certified Pre-Owned Jaguar model must undergo a rigorous inspection. If it fails, it doesn’t earn the CPO name. However, if it passes, you have the ability to snag a reliable and versatile model for a lot less than a brand new model. Even as a CPO model, you’ll still receive the amazing style that Jaguar brands deliver, as well as a variety of innovative technology and delicate comforts that enhance the Englewood roads. So no matter which trim level you choose, rest assured you’ll get a great vehicle. When drivers want an exciting model at an affordable price, the Certified Pre-Owned Jaguar XF is a great choice. This sedan has been thrilling roadways for years, and it has no plans on stopping anytime soon. Visit Jaguar Paramus today to find your favorite Certified Pre-Owned Jaguar XF. Our showroom is located at 405 NJ-17 in Paramus, NJ. You can also contact us at 201-977-2197.